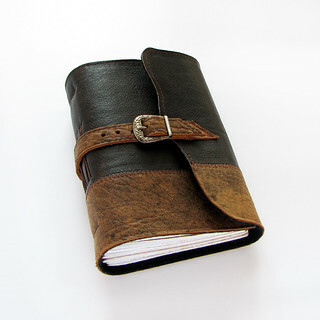 This journal made of natural soft leather in black and brown. Filled with 384 pages (192 sheets) of lined paper, included some pages in brown color. My books are for sale - check out my profile for more info.